NOTE: Merely replacing the words on one of our existing banners is no charge. Order Item #1990. Cus tom safety banners are sometines needed to meet the specific safety needs of an American or U.S. Military facility. 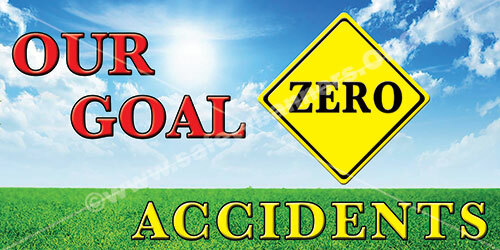 Often a plant has their own safety slogan, phrase or saying that they want to build into a safety banner. Clearly, the only way to meet these special needs is through designing custom safety banners. 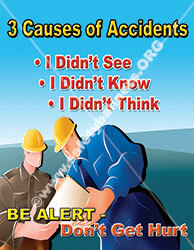 Over the years we had designed hundreds of custom safety banners for our customers operations. 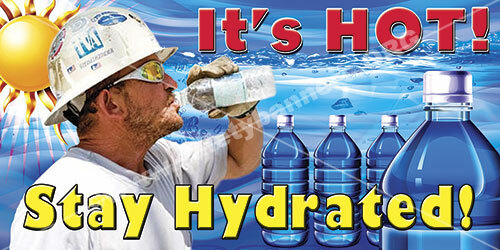 When we design custom safety banners we can use graphics supplied by you and/or graphics we have available. Using your guidance, we create a design which is colorful, bold and creative. Once the design is done. we send you a proof for your approval. NO CUSTOM SAFETY BANNER is ever produced without your approval. If you approve the banner proof, we release it to production and you will have your custom safety banners in a matter of days. If you would like some changes, merely tell us what you wan t changed. We make you changes and send you a second proof for your approval. We continue this process until you are 100% satisfied. 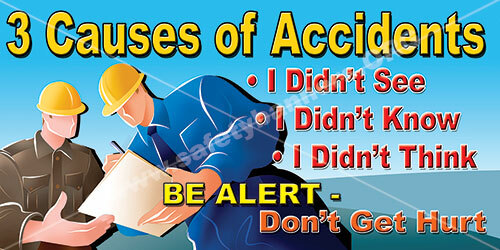 We never produce a custom safety banner until it is approved. When it comes to custom safety banners, SafetyBanners.Org creates more custom safety banners than any other company in America. When you expect the best in safety banners, we deliver.